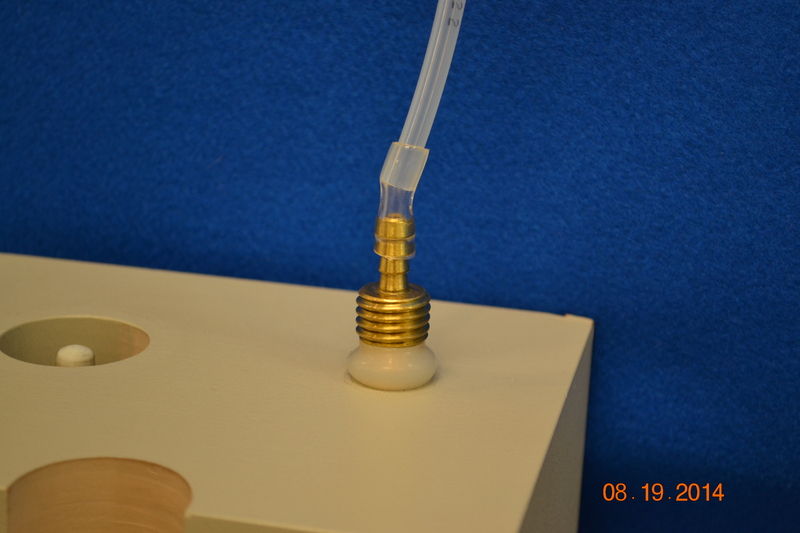 The barb at the top of the Vapor Pin® connects to ¼-inch sample tubing (typically Nylon or Teflon®) with softer tubing, preferably Tygon®. Because stainless steel is more durable than brass and more corrosion resistant, we recommend stainless steel for long-term installations and in corrosive environments. Brass Vapor Pins® are less durable than stainless steel, but they can be reused repeatedly with proper care. 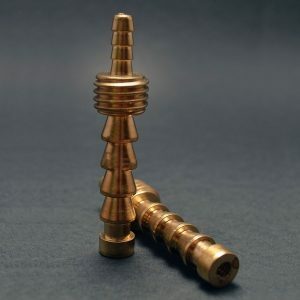 We recommend brass Vapor Pins® for short-term installations, especially those installed in the stick-up configuration. Total length 3 1/2″. Top barbed fitting is quarter inch in diameter. This item can not be installed without the Installation/Extraction Tool or Silicone Sleeves. and the protective white caps.